Project Denneler: A sweet story. I'm going to share with you all, my much-requested family recipe for sugar cookies and buttercream icing. The best part about this story though, is the fact that these cookies wouldn't be nearly as good without the buttercream icing. And believe it or not, the buttercream icing recipe was given to my mom probably 40 years ago, by none other than Margaret Denneler - my mother-in-law. So you see, Eric and I were truly destined to be together. 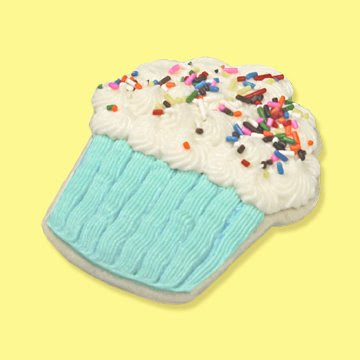 Separately we're just a dry cookie and an overly sweet frosting. But together we are fabulous! Mix all ingredients. Add flour last. Chill dough overnight. Cut and bake at 325 degrees. Watch closely, do not let them brown! Cream butter & shortening in bowl. Add vanilla and salt. Gradually add sugar. Mixture will appear dry. Add milk and beat on high until creamy. While I can guarantee that these will taste scrumptious if you follow the recipes, I can't guarantee what they'll look like when you're done decorating. It's taken me years and years to perfect these cookies to look & taste as good as they do. GOOD LUCK!